I’ve been a field based ‘Techie’ for over 30 years and in my spare time have built several cars and a multitude of bikes. The reason I started Onsite Cycles was because I have a fair amount of experience for the times when, mechanically, it all goes wrong and just love fixing things to make it all right! City & Guilds level 2 and 3 trained in Cycle Maintenance, including modules on the Shimano Di2 Electronic Groupset with Full Suspension and Shock Maintenance as well. Bosch, Continental and Shimano Steps qualified and I carry the necessary software tools and updates for all Bosch equipped E-Bikes. I am also a Level 1 Bike Fit trained professional, fully conversant with ‘when the foot meets the pedal’. 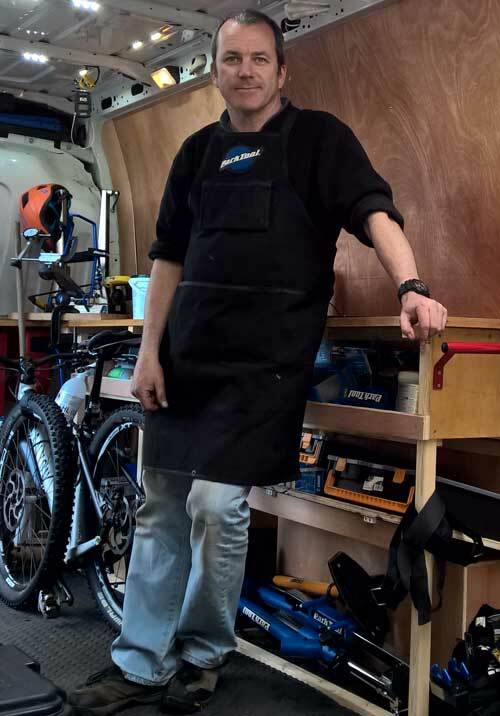 Onsite Cycles is part of the amazing Cycle Tech UK, a national organisation of cycle mechanics. As part of this network, whilst we offer a local service, we can ensure full UK coverage and support that is never far away, no matter where you are with your bike. So if you need any cycle maintenance, wheel repairs, complete builds, full suspension bearing servicing and fork and reverb dropper post services, no matter how big or small, then drop me a line or give me a call.